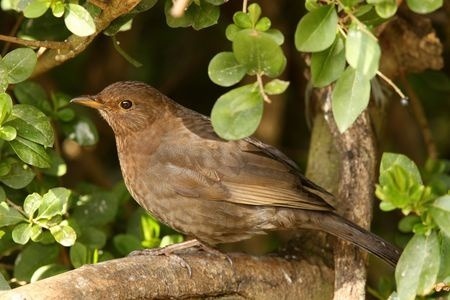 Tree and hedgerow netting should be carried out before bird nesting season. However, netting can be carried out during the bird breeding season if an experienced ecologist can confirm that there are no active nests present. 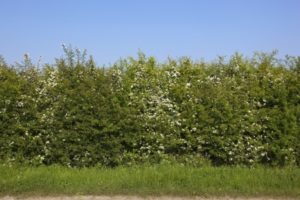 Ideally vegetation clearance, such as hedgerow removal, should be timed to avoid the bird nesting season, which runs from the beginning of March through to the end of September. This is to prevent adverse impacts to any active bird nests present and therefore ensure wildlife legislation is not breached. In some circumstances a hedgerow may have been identified as requiring removal, possibly to permit an anticipated development or the hedgerow occurs along a pipeline route, however the hedgerow cannot be removed prior to the bird nesting season as the relevant permissions or land access consents have not been granted. 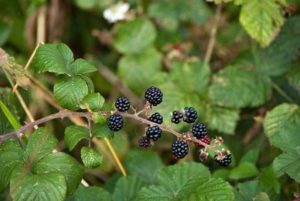 In these circumstances it may be deemed appropriate to try and prevent birds from nesting within a hedgerow by covering the hedgerow in netting. Should the consent to remove the hedgerow be granted during the bird breeding season, the hedgerow can be removed without affecting any active nests. The netting process isolates the hedgerow or section of hedgerow that is required to be removed and approximately 3m either side (this will ensure no birds nest close to the section to be removed). The netting used is similar to debris netting used on building sites (often to cover scaffolding), and is secured at both the sides and edges of the hedgerow with pegs and cable ties. It is important to ensure that no gaps or tears occur in the netting itself, or where the netting meets the ground. Any such gaps could allow access for birds to enter the netted hedgerow and build nests. Although no method can guarantee birds will not be able to nest within a hedgerow this process has been used on many occasions to successfully allow hedgerows to be removed during the bird breeding season, and therefore avoid major delays in projects and developments.